Witnesses at these sites swear that the spirits of those who lived in Arizona's wild past are still among us. From ruthless outlaws to priests and Victorian ladies, these stories will amaze you! 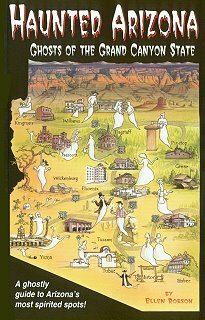 By Ellen Robson, co-author of Haunted Highway: The Spirits of Route 66.